On Labor Day we celebrate the contributions workers have made to the strength and prosperity of our country. Nurses perform myriad tasks while providing compassionate care. Nurse Leaders facilitate excellence in care giving while juggling the needs of many. This weekend we celebrate you, your dedication, and your hard work. 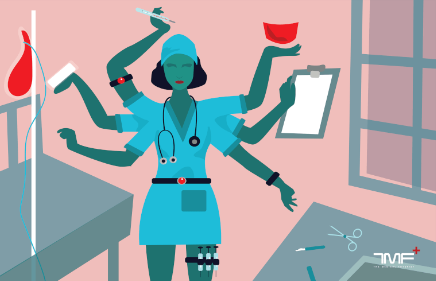 While nurses may wish for six arms each, innovations in technology have helped to extend the reach of nurses around the world. Read this article from The Medical Futurist to be inspired. Previous Previous post: What are the Benefits of Interim Leadership in Healthcare?